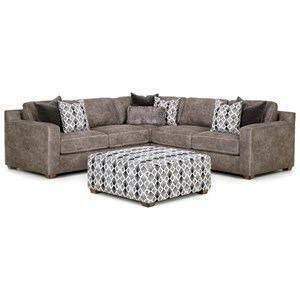 This small sectional is perfect for adding a cozy nook to your open concept living room or entertainment area. 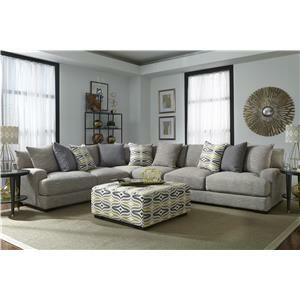 It features neutral color tones with decorative toss pillows and modern track arms. The seat cushions and back cushions are reversible helping to extend the life of the piece. The chaise provides a spot especially great for lounging on rainy days. 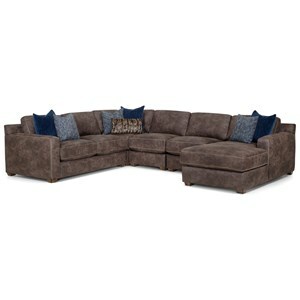 The Jameson Contemporary Sofa with Chaise by Franklin at Furniture and ApplianceMart in the Stevens Point, Rhinelander, Wausau, Green Bay, Wisconsin Rapids, Marshfield, East and West Madison, Wisconsin area. Product availability may vary. Contact us for the most current availability on this product. 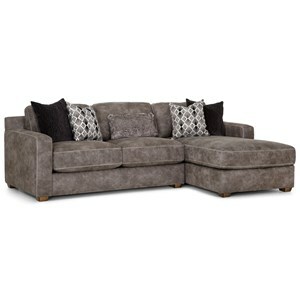 80559 LAF Loveseat 1 70" 42" 37"
80586 RAF Chaise 1 38.5" 73" 31.8"
Fabric Options Available in upholstery options shown. See store for details. Browse other items in the Jameson collection from Furniture and ApplianceMart in the Stevens Point, Rhinelander, Wausau, Green Bay, Wisconsin Rapids, Marshfield, East and West Madison, Wisconsin area.